Indoor growhouses have grown in popularity as more and more farmers have begun to realize the benefits of growing crops of all types in highly controlled environments. Also referred to as closed growing environments, these spaces allow users to create precise temperature, humidity levels, carbon dioxide levels, etc. in order to create the highest yield, highest quality crops possible. 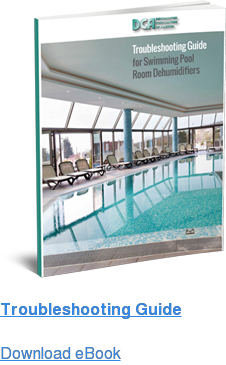 Because these spaces are designed as microclimates and have a great deal of systems running to ensure water, light and air needs are met, there is a strong need for the use of larger-scale, custom tailored dehumidification systems. 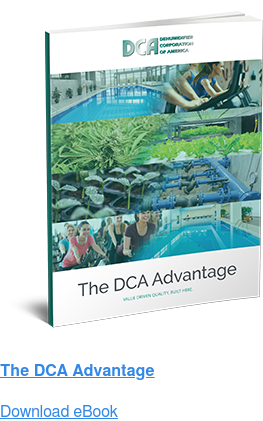 These systems are designed to tend to crops’ cycle and growing needs with different modes to mimic day and night, as well as other changing grow season needs. An indoor growhouse requires a full seal and frequently uses recirculated air, so filtration and CO2 augmentation are crucial for success. Dehumidifier Corporation of America has long understood the importance of indoor air quality and constantly strives to provide you equipment for proper ventilation, exhaust, monitoring and much more. 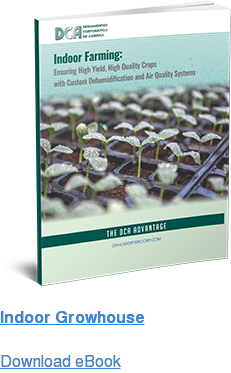 Dehumidifier Corporation of America has years of experience in the indoor growhouse industry and has worked with numerous types of growers to maximize their product yield. Our expertise in system design and integration makes us an ideal partner for professional growers.